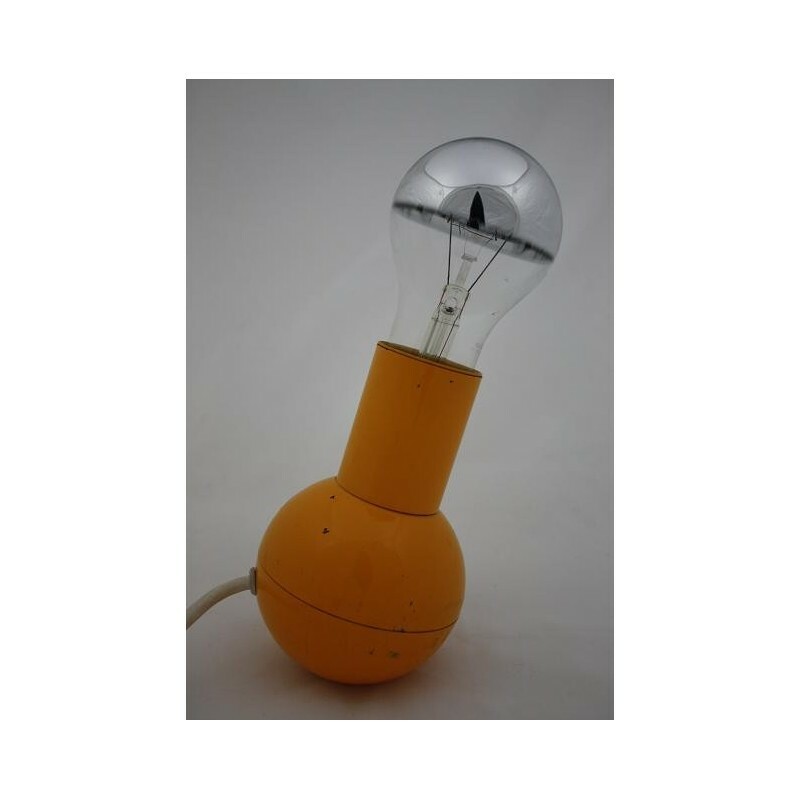 Design table lamp designed around 1970. The designer is unknown, but the design is probably Italian. The lamp has a round base which makes the lamp "tumbe". 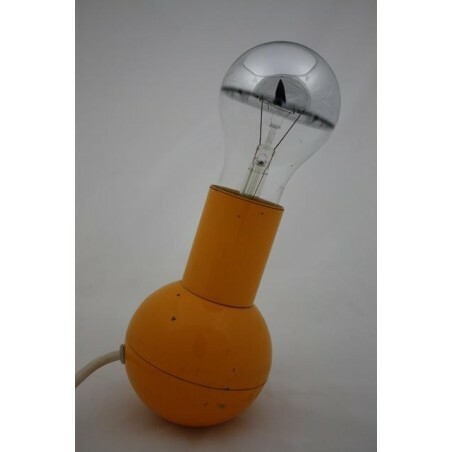 The lamp is in a reasonable vintage state. The size is 14,5 cm high and has a diameter of 9 cm.